The JBL PRX815 two-way, 15" portable powered PA speaker is a member of the most advanced loudspeaker family in its class. Wi-Fi technology and sophisticated DSP give you complete control over the tuning and performance of your system -- from anywhere in the venue -- via the free PRX Connect app. An efficient 1500- watt class-D amplifier and patented JBL Differential Drive technology provide best-in-class power handling while greatly reducing system weight. And the rugged all-wood cabinets feature a redesigned input panel and universal power supply for easy, reliable operation at gigs worldwide. 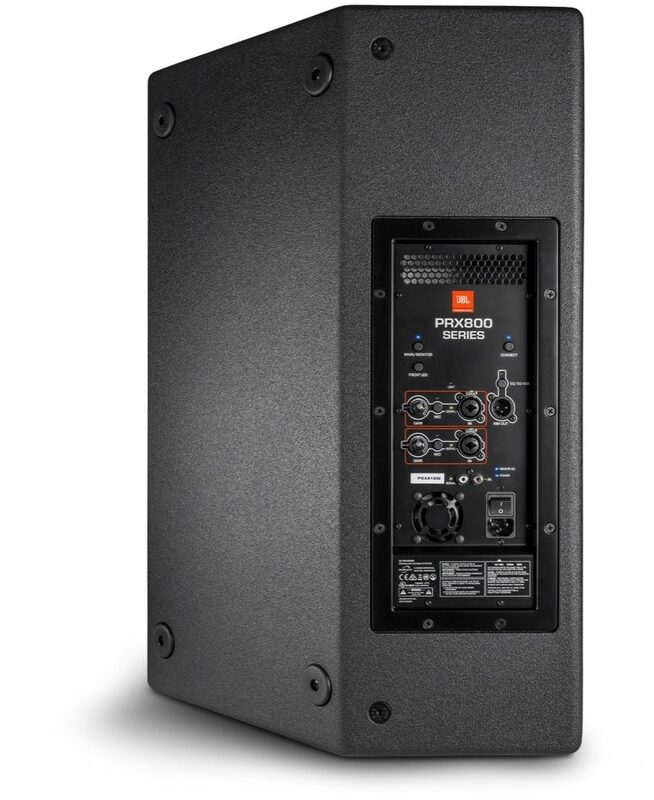 Thoughtfully designed from the ground up to deliver legendary JBL sound, PRX800 represents the next generation in smart live sound reinforcement. PRX800 Series is the first PA system in its class to feature complete wireless control via Wi-Fi, giving you a powerful new way to set up, configure and optimize the performance of your live sound system. 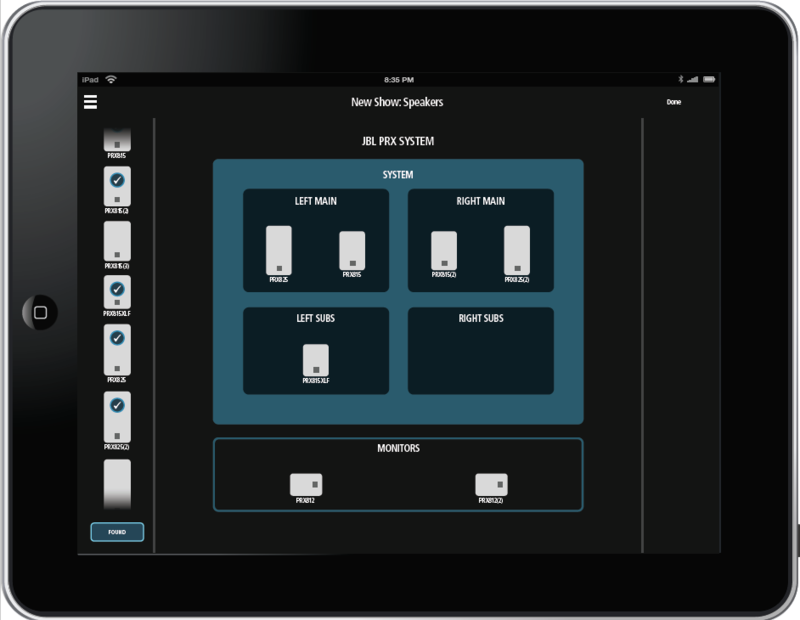 With a free custom-designed app, you can set up and run your system in any room with ease. 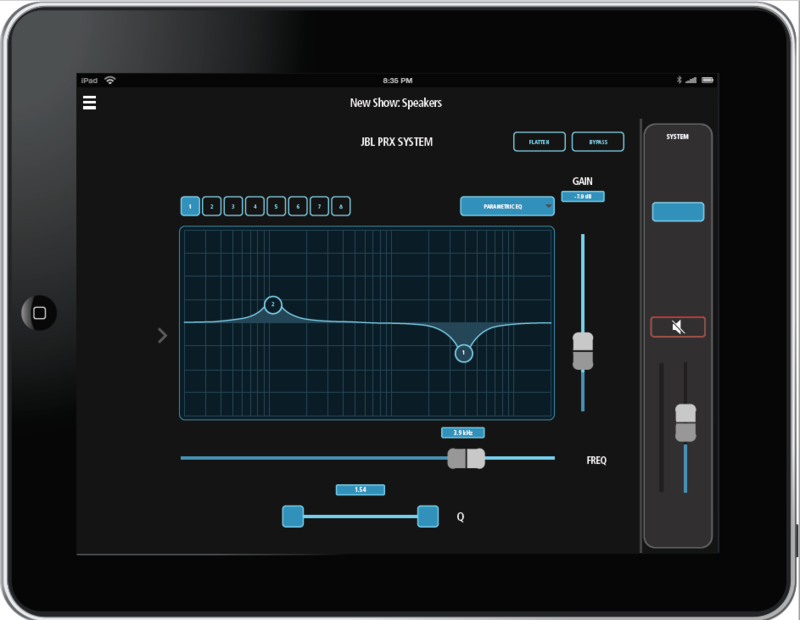 Whether you're working in a difficult acoustic environment or making sure you have the headroom to drive your band harder, you have the tools at your fingertips to make your system sound perfect every single time. With integrated 1500-watt Class-D power amplifiers, PRX800 is the most powerful, efficient system in its class. Patented JBL Differential Drive woofer technology reduces magnet mass while increasing power handling. Both of these features work together to make PRX800 a remarkably lightweight system capable of delivering clear, pristine audio at extraordinarily high volumes. 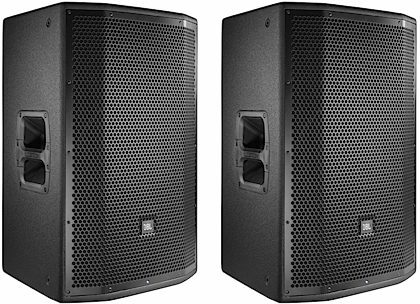 JBL designed each aspect of the PRX800 series to perform flawlessly -- even on the toughest tours. 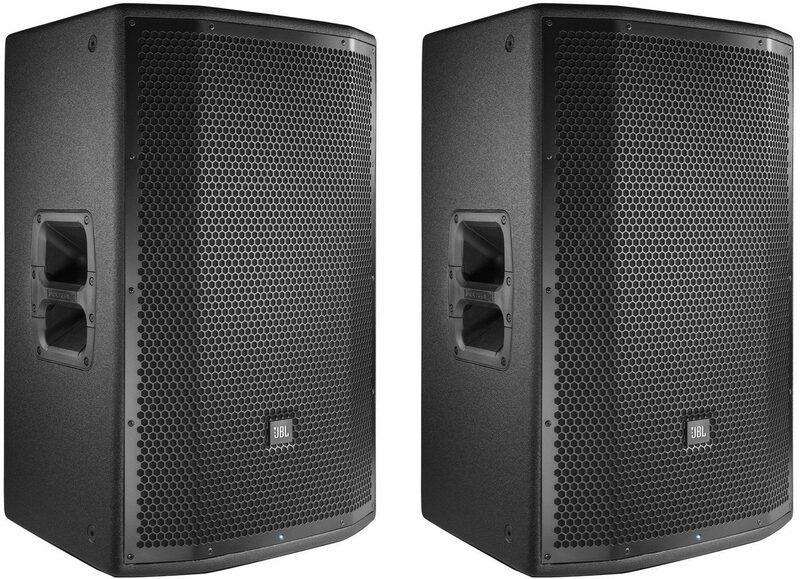 PRX800 speakers utilize the finest construction materials available, including durable wooden cabinets, tour-proven DuraFlex finish, and dent-resistant 16-gauge grilles. And comprehensive mechanical, electronic, and acoustic testing -- including JBL's famous 100-hour power test -- ensures reliability in any real-world environment. - Dimensions (H X W X D): 27.6" x 17.5" x 14.1"
- Box Dimensions (L X W X H): 19.8" x 22.5" x 29.9"
"Not as powerful as the PRX715 Speakers"
Overall: Controllers must not have enough of a pre-amp as they don't sound good with these speakers when my old pair PRX715's used to bump hard with the same Pioneer DDJSX2 controller. I have to turn the volume all the way up when with the PRX715's I could keep it at 50%. Miss the Equalizer too. 5 of 7 people (71.43%) found this review helpful. Did you? "JBL PRX815W Powered Speaker "
Overall: These speakers are awesome! Clear and powerful for a 7 piece band with horns. 27 of 42 people (64.29%) found this review helpful. Did you?